Following a semi-finished state of the mitosis scene, I’m now starting to style the scene in my animation that demonstrates the nuclear architecture – the stuff that goes wrong INSIDE a cancer cell. I have a wiggling strand of DNA, coloured, textured and highlighted to show off the backbone and base pairs, the major and minor groove and the double helix. 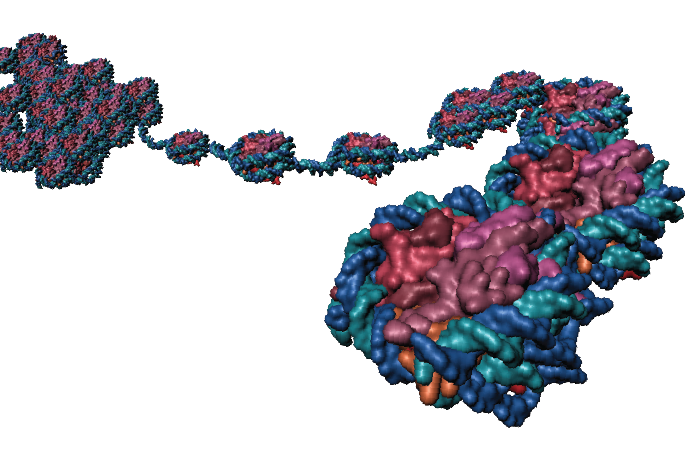 I also am aiming to show the complexity and compact-ness of the nucleus with some nucleosomes and large volume of DNA jiggling in the background. I have been exploring the use of paint effects with various textures mapped onto the surface of tubes, animating with noise and offset to gain some organic motion and also some subtle bump mapping to reduce some of the plastic-like appearance of the molecular meshing. stay tuned. more images to come. 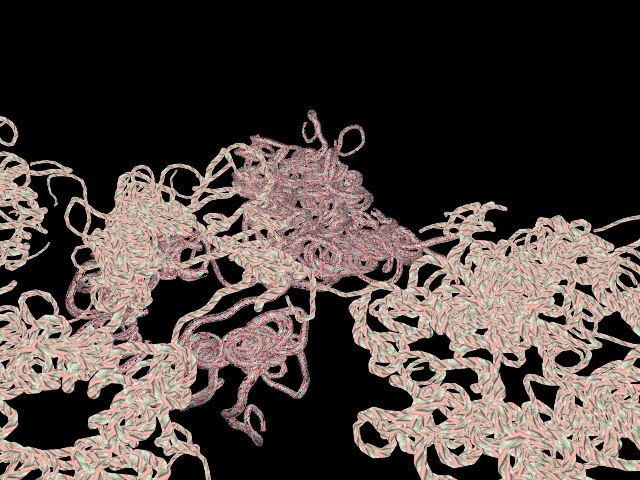 Euchromatin and Heterochromatin – experimenting in Maya.